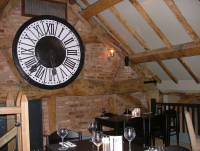 Leading media programming, system design and installation company, tsg, has recently installed a substantial Audica Professional audio system at The Farm restaurant and pub in Solihull. Stylishly converted and extended from an original old farmhouse, The Farm offers a double-centred experience. 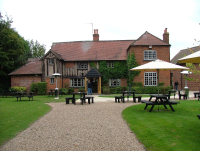 The pub, known as The 'Inn at the Farm' is a place of paired back simplicity, with a Scandinavian feel and comfortable chairs, serving an extensive range of bottled or draught beers and cask ales. The Inn at the Farm also serves a simple range of quality bar food. The 'Food at the Farm' restaurant offers traditional dishes in a stunning, rugged environment, comfortably seating around ninety people. A vaulted ceiling, exposed beams, wine prison, rough hewn bark and steel drinks bar, and end grain oak floor create a unique effect. Nick Freeman of tsg explained the choice of the system, “Our programmed music services were the initial requirement and starting point for The Farm, but how this was delivered and the system's ease of use and aesthetics in the venue were equally important to us and the client. Simple, continuous operation is catered for by our promedia hard disk system. Aesthetics were obviously a key element for The Farm so we introduced them to Audica Professional's MICROseries. Not only is this the most stylish and discreet ultra-compact loudspeaker product available, but it can provide superb audio quality for background music without the need for subs; a real bonus for style-conscious venues in providing consistent full-range coverage with no large bass cabinets to try and conceal”. Two promedia hard disk systems were installed to provide programmed material as required for the differing ambiance of the bar and the restaurant. Each promedia is fed to a dedicated Audica MICROzone unit, which provides pre-amp and system control functions and drives separate power amplification for the system. Covering both buildings, the audio systems then use a total of twenty Audica Professional MICROpoint loudspeakers. The MICROpoints were chosen in a black finish to merge against dark wood backgrounds and complement the black finish of many of the decorative elements that are a feature of the interior design of The Farm.